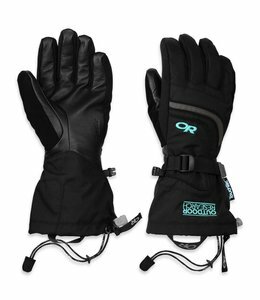 When you are out for days on end, the Women's Luminary Sensor Gloves are technical alpine climbing gloves for elite climbers with all the features you want. 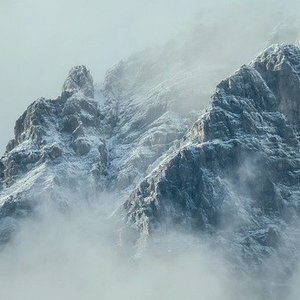 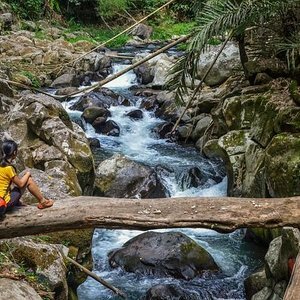 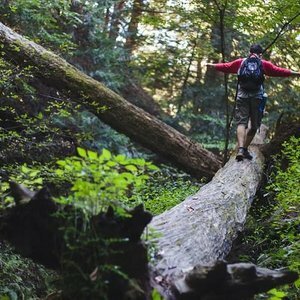 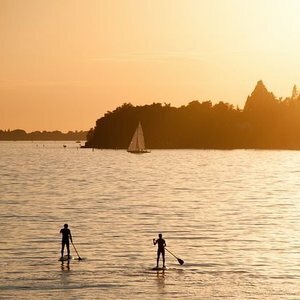 Wild rides, without wild prices. 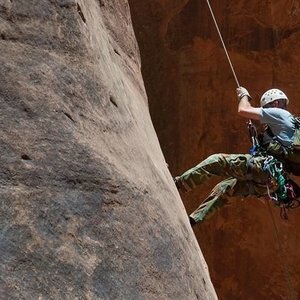 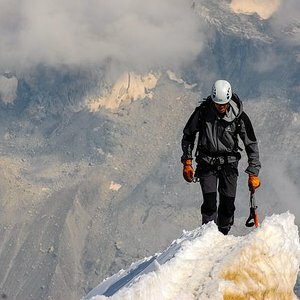 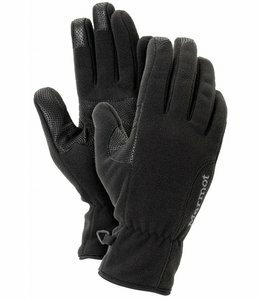 For the gauntlet-style Vertical Descent Glove, they employed technology to seal out snow and hold in warmth. 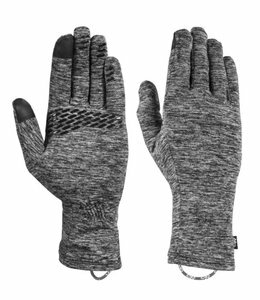 The Women's Pyxis Gloves is a fleece glove that blocks the wind and cold. 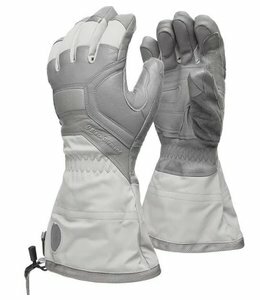 The Women's Power Stretch Pro Glove is a good all purpose glove or liner for moderate weather conditions. 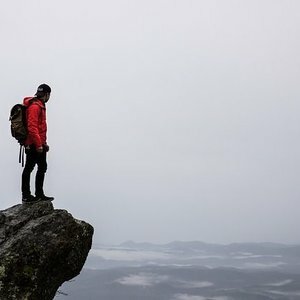 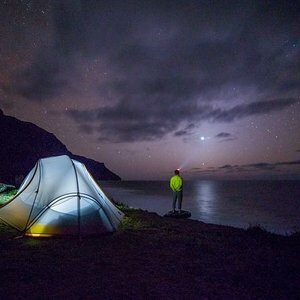 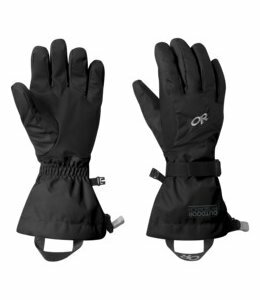 Whether you're sending in the alpine or cragging in cold temps, the Women's Ouray Aerogel Gloves from Outdoor Research will have you covered. 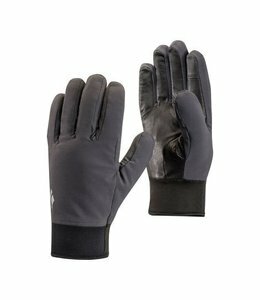 The Women's Guide Gloves keep your hands warm and dry in the coldest and wettest weather. 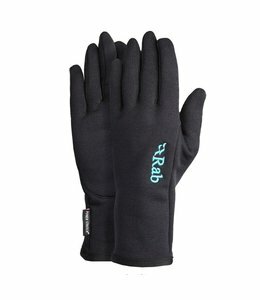 Keep your hands warm with the Women's Melody Sensor Gloves while you answer the text that you just received. 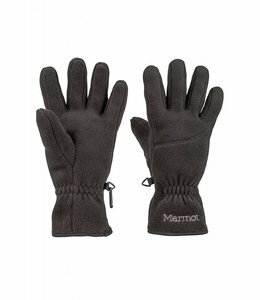 Wear the Women's Fleece Gloves to keep your hands toasty warm. 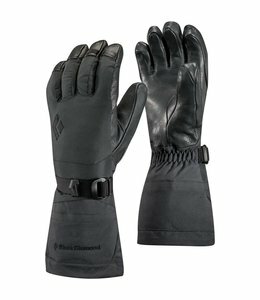 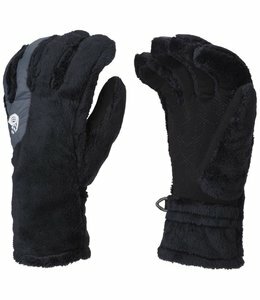 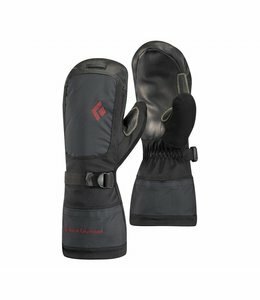 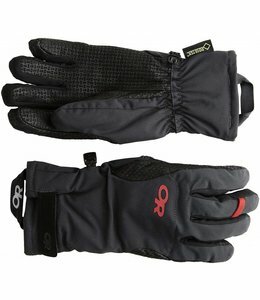 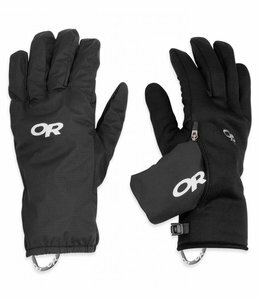 A reinforced fleece glove, the Women's Windstopper Gloves is warm protection for a variety of activities. 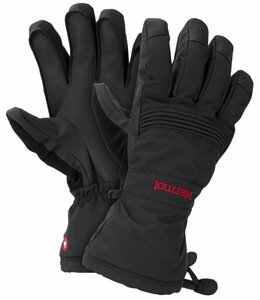 Women's Ankhiale Goretex Gloves are lightweight and warm, these gloves are weather protection for your hands. 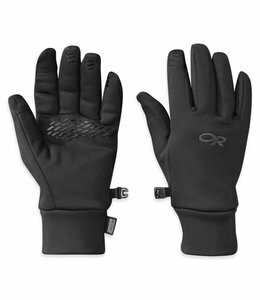 The Women's Arete Gloves are a versatile glove built for women in the alpine. 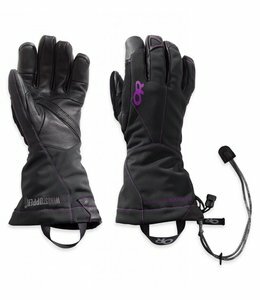 The Women's Tour Light Glove is a warm, breathable, water resistant leather glove designed for long ascents and ski tours. 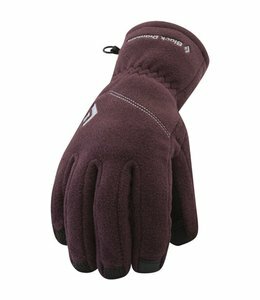 Keep your hands warm and dry from intense cold or ridiculous weather with the Women's Mercury Mitts. 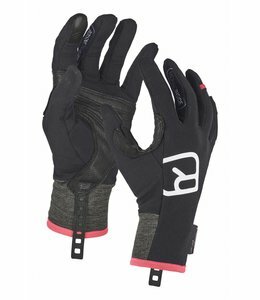 The Women's Adrenaline Gloves are functional with plenty of features.